There is no particularly good reason why a cru bourgeois from 1975 should prove drinkable in 2016 (for more on the cru bourgeois see my post here). But such is the beauty of wine that it is always worth a try, particularly when the wine is from the left bank of Bordeaux. 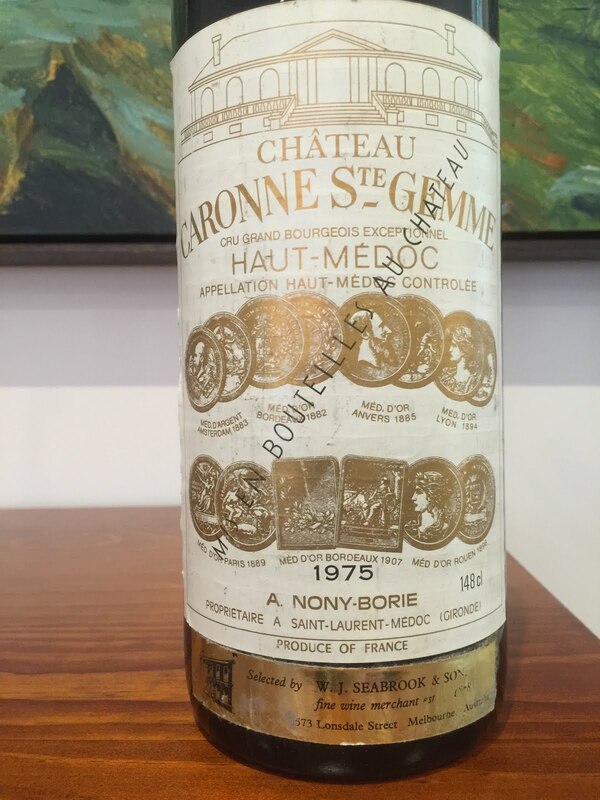 The 1975 Caronne Ste-Gemme from the Haut-Médoc tasted here started out awfully well, releasing its 41 year old aromatics of pencil lead, dark chocolate and clove with quite some aplomb. The palate had still resolving tannins and was quite fresh, with an earthy character. But a shadow on the horizon emerged, the pencil lead turning to cardboard, while the palate started to become enveloped too, tasting more stripped than enjoyable. Cork taint, albeit a low level example, claims another.